Club Penguin Cheats by Mimo777 Club Penguin Cheats by Mimo777: Club Penguin Times #390! 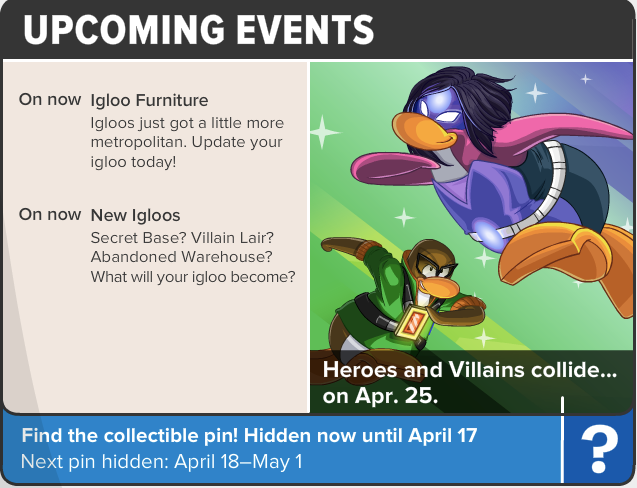 Club Penguin Times #390 is here! 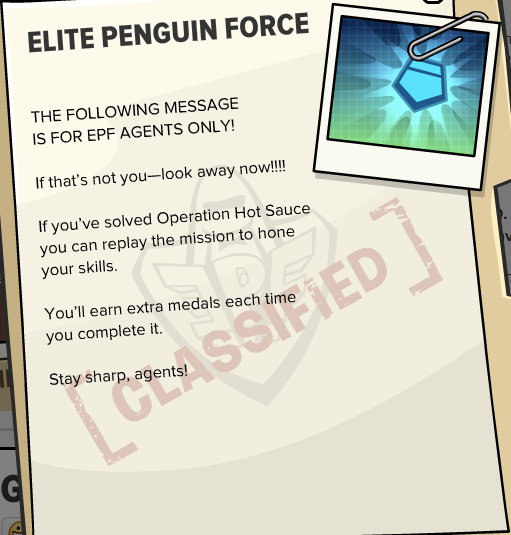 Thanks to all the secret agents who have helped solve the case of the missing hot sauce! Medals for the brave agents! G takes no breaks... Not even for coffee!? But coffee is good! I knew this thing from starting but i didn't know we can tell you. 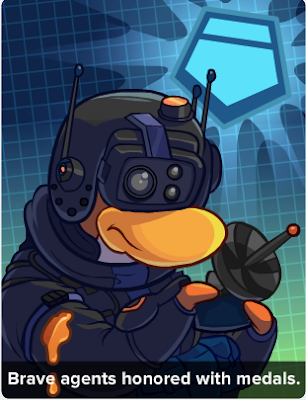 I want to ask you one thing if we put our name in anonymous then how will you get to know our penguin name and the before comment was mine i dont know if you will approve it. 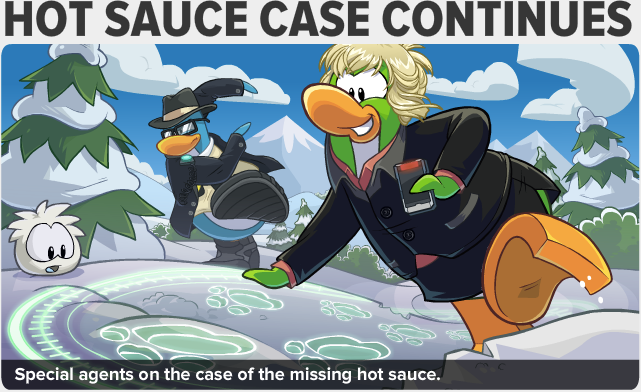 You know Mimo777 i want to meet famous penguins like PH,Gary,Aunt arctic,Cadence etc.I am suddenly telling you this only for one reason.Because once i met Rock hopper because of you and your site,There was a poll kept have you met Rockhopper and i said never and the moment i did that Rockhopper came on the same room and then i forgot to tell you where he is.Now i know why i cannot meet famous penguins because i didn't tell you when i met Rockhopper. 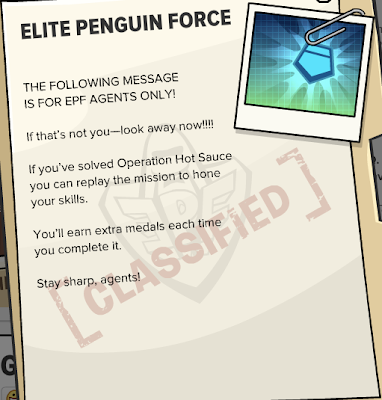 You know if you click the pizza sauce on the agent, a secret note comes up. I fail to understand what you are implying. Do you meant to say you met Rockhopper only because of the poll? Tracking mascots has become easier now as club penguin gives multiple servers and times on their blog. Maybe you should try those. I believe it is foolish to think that you were unable to meet a mascot because you didn't comment on this blog!